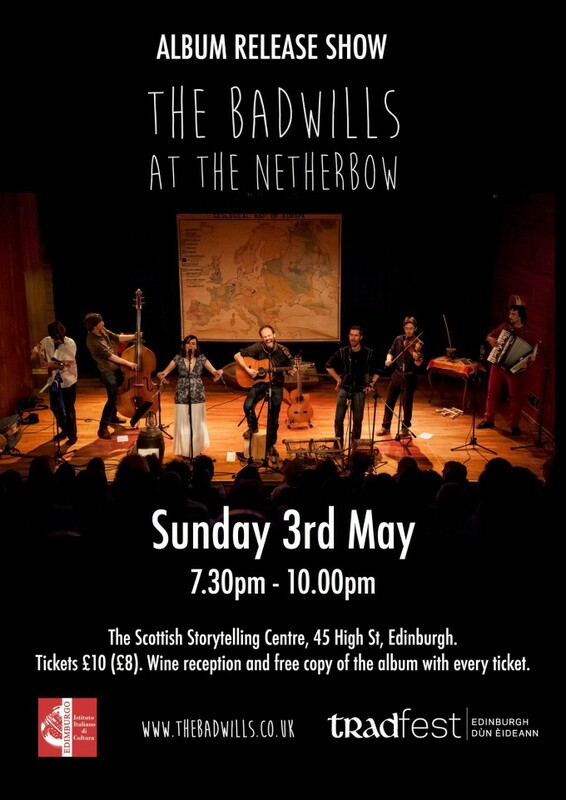 The Badwills are back with a bang this May to present their 2015 Tradfest show and release their new live album, with songs recorded during a magical night at the Storytelling Centre’s Netherbow Theatre at last year’s festival. We will welcome you into the wonderful Storytelling Centre with a presentation of the new CD accompanied by wine in true ‘aperitivo’ style, and at 8.30pm we will be on stage to play songs from the album and more. And if that is not enough, with each ticket you will receive a free copy of the album! You can purchase tickets at The Storytelling Centre, or at the this link.